You probably have your own “secret sauce” for making a successful inspection business. But have you taken a look at the ingredients recently? It’s easy to get into the routine of doing the same thing day in and day out, year after year. After all, if it ain’t broke, don’t fix it—right? You should often evaluate and adjust your business model, your marketing strategy, and the tools you use to do your job. Over time, you’ve probably upgraded some things—your vehicle, ladder or camera (and hopefully your wardrobe!). But you might want to consider looking at the other tools in your proverbial “toolkit” to see if you could be improving not only your business, but also your life. After a long day of inspecting, the last thing you probably want to do is sit down for hours of report writing. (I bet your family doesn’t appreciate it either.) But what if you could change that? Get more done on site, do less work at home, and all without increasing the length of your work day? Sounds too good to be true, but it isn’t. Using the right software and online services can be a game changer for you and your business. There are several different ways you can save time while collecting information, images and other data during the inspection. You should ditch the clipboard if you haven’t already and carry a handheld device (such as a smartphone or tablet) to input comments, pictures, videos, and recordings as needed. Think about it—if you’re putting all that information into the report during the inspection there isn’t much left to do once you get home other than review, edit, upload, and deliver. What if I told you that you can save a ton of time taking photos while also impressing your clients and reducing your liability risk? Let me explain: there’s a new piece of technology called a 360° camera that you can use to eliminate hundreds of extra pictures in the report. Bonus: you’re also creating a virtual home tour for your client. Camera models start at under $100 and can run as high as $500 or more. Simply take the 360° camera into the room and snap a single photo. It captures a complete 360- degree panoramic image of the room—or the view from outside, the roof, etc.—which you can then insert into the report. Some may call it unnecessary or a gimmick but I have seen real reviews from real homebuyers who were absolutely thrilled with their inspector for including these images in their report. I have also seen these images save an inspector from a potential liability because it shows an entire 360 degree view of the room at the exact time of inspection. Of course, you’ll need to make sure that the report writing software you use will accept this kind of image. The way you deliver your inspection report and the experience the homebuyer receives while viewing it shouldn’t be overlooked. Sure, you can send an email with a PDF copy of the report attached. But have you ever really sat down and looked at one of those PDFs from a homebuyer’s point of view? I personally find myself wishing for more. Your clients want to be able to click on the pictures and expand them so they can really see what you’re talking about. 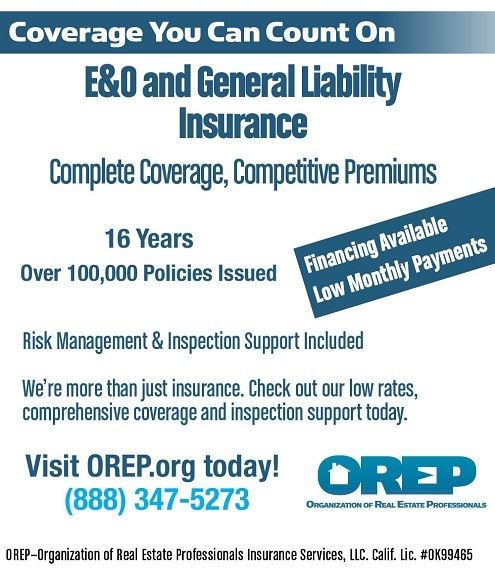 And videos are becoming standard for inspection reports—try putting one of those in a PDF. The fact is, there are some problems that are hard to describe in words or capture in the snap of a photo but are easy to show and explain in a short video clip. Posting your report online is a better alternative to PDFs because it allows you to do more with photos and video and it shows you are an inspector who understands modern technology (which most buyers feel is key for inspecting today’s high-tech homes). Face it—we live in a world where people do pretty much everything online and increasingly that’s the way homebuyers expect their inspection reports, too. And if it makes you feel better, these HTML reports can easily be saved as a PDF for storage anyway. So what’s the hold up? Take your reports online and I’ll bet you’ll be impressed with the response you get from your clients and agents. Of course, if you don’t have any inspections scheduled, it doesn’t matter how cool your reports look. So a key question is, “What tools will help me win the business in the first place?” It’s probably not your office—most inspection companies don’t have or need a physical office location. This means that your website doubles as your company’s storefront—and the impression it makes can win or lose you business. With all the online website building tools around today, many businesses opt to build their own websites. But the Internet is fast-paced and ever-changing, so if you’re not actually working in that business it can be hard to keep up with industry standards and best practices. Just like home inspecting, web design is a service better left to the pros. Two key aspects to consider with your website are its content and age. A website’s lifespan is only about two and a half years, so if it’s been a while since you updated yours, it might be time for a new one. Website trends are always changing but in 2018, content remains king and there are no signs that Google is going to refocus the majority of its algorithms on a different factor. That’s right—while your viewers may simply be scanning your website for the information they need, search engines are paying close attention to what is actually written on your site. There is also technical data on your site that help search engines better understand your website, though you won’t see this on the front end. If you want your company name to show up in an internet search, you have to make sure your content is helping you get found. But it also needs to be more than a bunch of searchable words thrown on a page. Well-written content answers the questions your audience has about your business, makes those answers easy to find, and conveys how you can help in such a way that readers are converted into customers. Content needs to be engaging and relevant to readers. If that sounds like a tall order, it is. Each page should follow certain guidelines regarding length, keyword density and originality. For example, you might really like that section on mold you read on another website. But you don’t want to put it on yours, since you could potentially pay a penalty for duplicate content. Google will know it is not original and posting somebody else’s content can affect your ranking and, in some cases, keep the search engines from indexing your site at all. If you already know your website is lacking (or if you don’t have one), find a web design company that knows the home inspection industry and provides unique, professionally- written content as part of the deal. Having an attractive and engaging website is not enough these days. You should be reminding both users and search engines that the lights are on and your business is open! Adding a blog and updating it periodically is a great way to accomplish this and is vital to being successful with your Search Engine Optimization (SEO) efforts, the mechanism that helps customers find you online. One tip about writing blog posts: make sure you’re speaking to your audience in a way they’ll understand and appreciate. Don’t get too technical in a mistaken attempt to sound like an expert. The blog should cater towards homeowners, buyers, your community, and real estate agents—the people you want coming to your website—rather than other home inspectors. As with all web content, length and keyword density are key to getting the best results. A blog is just one way to keep your website updated with fresh content. Make sure to promote any new services you offer, discounts and promotions and tips and tricks. You can also put your scheduler on your website so that agents and clients can book an inspection online without making a phone call. And don’t forget to send your clients to your website to get their inspection report. This not only creates a brand identity for you but also continues to drive traffic back to your website. It’s a win-win! 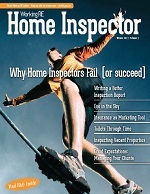 Of course, the main ingredient to the “secret sauce” of a successful inspection business is you, the inspector. You need to be out there networking, asking for reviews, staying active on social media, showing off your awesome reports, and letting everyone and their mother know to visit your website. Make it work 24/7 so you don’t have to. Kate Ivey has been in the home inspection industry for more than five years and currently manages the web services team at HomeGauge. Kate and her team create custom websites and offer a variety of affordable hosting and SEO packages geared toward home inspectors. You can check out examples of their work at www.HomeGauge.com. 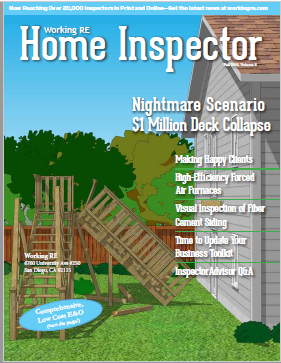 It’s really interesting that there are so many ways to update a home inspector’s business. I would have thought all you need is to be certified. It makes me wonder if there is an online training course available for these different business strategies.